Montana State landed another transfer from a Power 5 school on Friday, this one from the SEC. 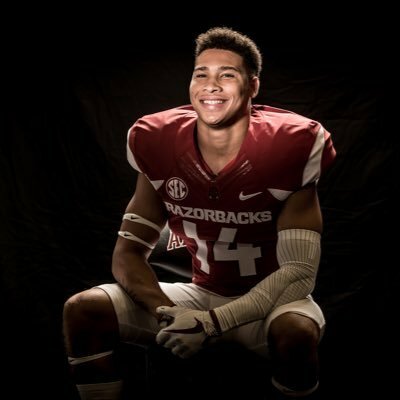 Arkansas running back/slot receiver Maleek Barkley announced his intention to transfer on his personal Twitter account. Shortly after, Skyline Sports confirmed that Barkley will transfer to Montana State. The news comes on the heels of the official addition of Jahque Alleyne, a safety transfer from Virginia Tech. Barkley is the half-brother of former Montana State All-Big Sky running back and All-American returner Shawn Johnson. Barkley and Johnson share Roslyn Reed as a mother. Johnson, a key contributor on MSU’s 2012 and 2014 playoff teams, spent his high school years in Bakersfield, California living with Doug and Christie Kessler, the parents of Jacksonville Jaguars quarterback Cody Kessler, a standout at USC. Barkley moved with Reed and his younger brother Isaiah Conner to Las Vegas when he was three years old. As a kid, he played for the Bishop Gorman Gators youth football team — a nonprofit community outreach program in Las Vegas. In 2013, he attended a middle school football camp and met coach Josh McConnico, who ran the camp. When McConnico moved to Austin, Texas, he offered for Barkley to come with him. 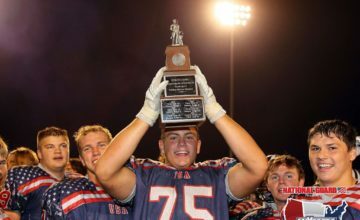 Barkley did, enrolling at nationally regarded football factor Lake Travis High, the alma mater of recent NFL Draft pick No. 1 selection Baker Mayfield. 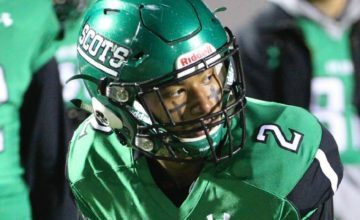 The 5-foot-11, 171-pounder earned a three-star recruiting ranking from ESPN, Rivals, Scout and 247Sports. 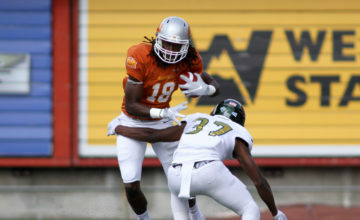 he earned Top 100 reankins as a receiver by 247Sports and ESPN, a No. 44 overall ranking among athletes by Rivals and a top 100 player in Texas by all the major recruiging services. Scout also ranked him as the No. 89 running back in his class. In three seasons at Lake Travis, he totaled more than 4.600 yards from scrimmage, including 2,031 on teh ground and 1,902 receiving to go along with 53 career touchdowns. As a junior, Barkley helped Lake Travis to the Texas Class 6A Division II state championship game by hauling in 55 receptions for 693 yards and t10 touchdowns to go with 617 rushing yards and 10 TDs on the ground. As a senior, Barkley scored three total touchdowns as part of a 138-yard performance in his team’s Texas Class 6A Division I championship game 41-13 win over Woodland High School at AT&T Stadium in Arlington. That productive performance was part of a final prep season in which he totaled 2,146 yards from scrimmage, including 1,345 yards and 17 touchdowns on the ground and 613 rceiving yards to go with seven touchdown catches to earn 25-6A All-District Offensive Player of the Year. Barkley received offers from Arkansas, Illinois, Texas State and UNLV as a junior before adding offers from Michigan State, Utah and Arizona as a senior. This story will be updated. Photos attributed. All Rights Reserved.